This tea is basically its name. 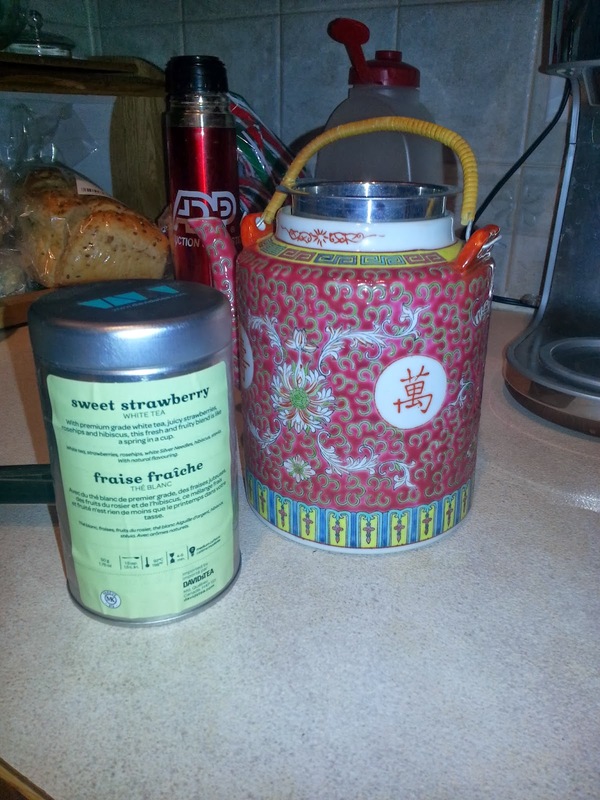 Sweet Strawberry by DavidsTea is a white tea. 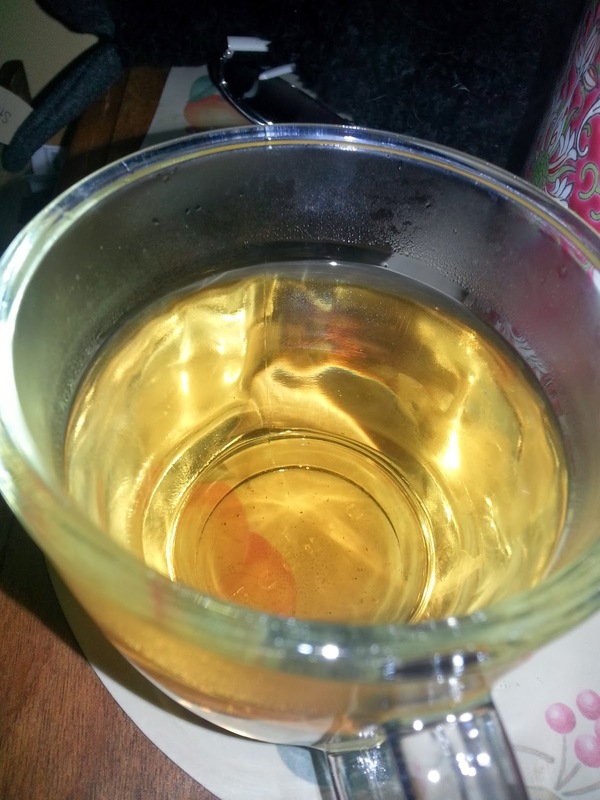 A light, beautiful, white tea. Now, you all know by now how I like a really strong tea, but this light tea is just so nice. I always need to have some hanging around. When you smell it, you'll know how it tastes. It doesn't taste as strong as it smells, but it tastes the same. 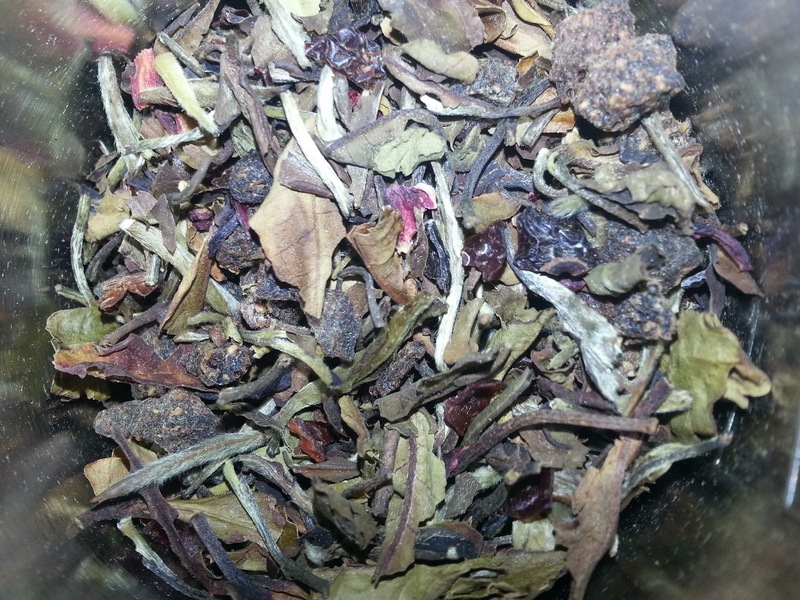 Every time you take a sip, you smell the strawberries, taste the strawberries with a gentle backer of the white tea. So light, sweet, but in a light way. This tea would be amazing, amazing, iced on a hot summer day. As you can see, this tea leaves me feeling excited. It's just so nice. EXCEPT FOR THE FACT THAT IT HAS BEEN DISCONTINUED. BECAUSE OF STUPID REASONS NO DOUBT. LUCKILY. I ORDERED 250g LIKE A BOSS.